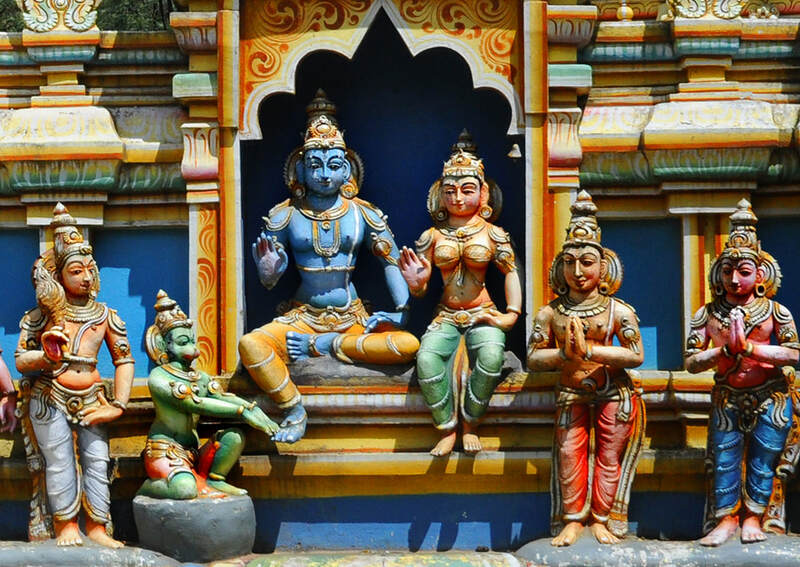 The Sita Amman Temple, also known as Seetha Amman Kovil, lies in the Nuwara Eliya valley near the Hakgala Botanical Gardens. This Hindu shrine has become the number 1 destination of Hindu pilgrims from India travelling along the so-called Ramayana Trail. The temple is believed to mark the grove called Ashoka Vatika or Ashoka Vana in the Ramayana epic, the place where Sita was held in captivity on the island of Lanka. After she had refused to stay in King Ravana's magnificent palace, she was transferred to this grove where she lived under Ashoka trees. It was in the Ashoka Vatika that Ravana's wife Mandodari visited her and that Hanuman met her for the first time, identifying himself with the finger ring of Rama. Sita is said to have bathed in the nearby stream. There are remarkable circular depressions in the rocks at the river bank, which are believed to be footprints of Lord Hanuman.